Drug agents across the land pursue their endless war against methamphetamine with relentless vigor, busting tweakers daily and breathlessly trumpeting the seizure of yet another "meth lab," which these days often consists of no more than a couple of soda pop bottles and a few chemicals available from your general store. Yet in the relentless campaign against meth and its manufacturers, it seems some are more equal than others. 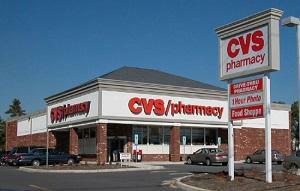 CVS, the largest operator of pharmacies in the United States, confessed back in October that it knowingly allowed crystal meth manufacturers to illegally buy large amounts of pseudoephedrine (PSE), an active ingredient used in the manufacture of methamphetamine. To avoid criminal prosecution, CVS officials agreed to pay the federal government a $75 million fine for narcotics violations, the largest cash money penalty in the 40-year history of the Controlled Substances Act. Although pseudoephedrine is a common ingredient in over the counter cold medications and is legal to purchase from drug stores in Canada and the US, because it can also be used to make methamphetamine, it is illegal for pharmacies to sell a person more than 3 1/2 grams of PSE per day. But DEA and state narcotic officers eventually learned that meth cooks were able to get around the law by employing "smurfs" -- people working with meth cooks who make repeated legal purchases of PSE at numerous different pharmacies. As early as 2007, dealers targeted CVS, and according to the DEA, the top CVS officials were warned by employees of the illegal violations. DEA reported that the pharmacy's head honchos ignored the warnings and demanded the workers continue selling the large amounts of PSE in California and Nevada. Authorities say CVS in effect assisted meth cookers by failing to provide adequate safeguards to monitor the legal amount of PSE that customers could buy. DEA said the violations occurred not only in California and Nevada, but in Arizona, Georgia, South Carolina and 23 other states currently under investigation. Between September 2007 and November 2008, CVS's illegal practice of overselling PSE products caused the DEA to tag them as the largest suppliers of pseudoephedrine to meth traffickers in Southern California. US Assistant Attorney Shana Mintz said, "Rather than choosing to over-comply with the law like their competitors did, they knowingly under-complied with the law." Federal agents began investigating CVS in 2008 after pseudoephedrine seized at Southern California meth labs was traced back to the pharmacy chain. News media stories reported that CVS installed an automated system called Meth Tracker to track individual sales but that the mechanism didn't stop multiple same-day purchases. Around Los Angeles, smurfs would hit CVS locations and raid the shelves of PSE products and cough and cold medicine tablets. Prosecutors said that in LA County alone over a 10-month period in 2008, sales of pseudoephedrine products such as Contac, Sudafed, Dimetapp and Chlor-Trimeton increased more than 150% over the same period in 2007. "CVS knew it had a duty to prevent methamphetamine trafficking, but failed to take steps to control the sale of a regulated drug used by meth traffickers as an essential ingredient for their poisonous stew," said US Attorney Andre Birotte in a statement after the settlement. "This case shows what happens when companies fail to follow their ethical and legal responsibilities," he added. "This historic settlement underscores DEA's commitment to protect the public's health and safety against the scourge of methamphetamine," said Michele Leonhart, the acting administrator of the DEA, in a statement. "CVS's flagrant violation of the law resulted in the company becoming a direct link in the meth suppy chain." While the feds were busy patting themselves on the back, CVS was busy absolving itself. In a statement, CVS Chairman and CEO Thomas Ryan said, "We have resolved this issue which resulted from a breakdown in CVS/pharmacy's normally high management and oversight standards." The lapse, Ryan said, "was an unacceptable breach of the company's policies and was totally inconsistent with our values." Small-time meth cooks are routinely sent to prison for years for "drug manufacturing," and people who help them out by buying small amounts of PSE go up the river for conspiracy, but not corporate criminals like CVS. Did the millions CVS paid the government keep company leaders from being indicted on drug charges? During the DEA investigation of the CVS pharmacies, over 50 people were charged with possession with intent to manufacture methamphetamine for purchasing the PSE products they bought illegally from CVS stores. Each defendant faces prison time, while CVS officials who knowingly allowed the illegal purchase of the drugs get off scot free by paying millions that eventually will be recouped. The arrest of the CVS smurfs sparked a heated debate about equal justice and disparities in the treatment of small-time smurfs and big-time corporate entities. "It doesn't seem fair to let those like CVS that ignored the law and sold massive amounts of an ingredient to make that poison get away with just a fine. Yes, it's a hefty one, but they'll probably just raise prices to offset it," said Dean Becker, the Houston-based host of KPFT radio. "As always, the powers that be are utilizing fear and loathing to continue their eternal war. 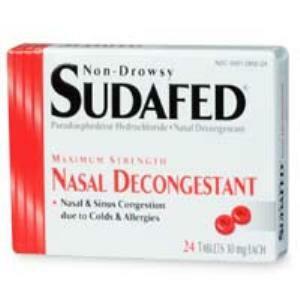 CVS and all the corporations that are subject to the oversight of the DEA are pawns in the game of fear," said Becker. "Why are people using CVS to make speed?" Attorney Diane Bass says her client has been punished disproportionately while corporate decision-makers go free. No one is more infuriated with the disparity in treatments of drug offenders, particularly in the CVS case, than California attorney Diane Bass. 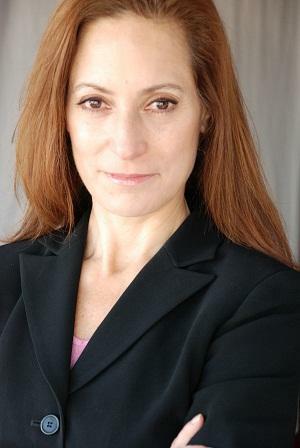 Based in Laguna Beach, California, Bass represents one of the female defendants charged in federal court with possession with intent to manufacture the PSE drugs purchased from CVS. "If this was any other drug case, CVS would be the 'source' of the drugs the government would be most interested in prosecuting, and CVS would receive the longest sentence," she told the Chronicle. "Here, CVS paid a fine of $75 million and walked away without facing criminal prosecution while the small players like my client who are meth addicts trying to earn a few bucks to buy their drugs are facing excessively long prison sentences. This isn't fair. It's outrageous!" Bass said. "In my client's case, she needed the money to buy her medication for her illness. She's on SSI and had no money to pay for her medicine," the defense attorney explained. "These are certainly not the people that Congress intended to punish when it promulgated the PSE sentencing guidelines. I believe they intended to punish those who actually manufactured methamphetamine -- those whom my client sold the PSE cold medicine to." Bass complained the disparity in treatment in this case is so unfair she will fight tooth-and-nail for her client to show how corporations break the law an only pay a fine, while the small fry goes to prison. While corporate behemoths like CVS can buy their way out of trouble, that's not necessarily the case for Ma-and-Pa operations, like that of Oklahoma pharmacist Haskell Lee Evans Jr., 68, a member of the State Board of Health, who was recently indicted for "recklessly" selling pseudoephedrine to make crystal meth -- the same act committed by CVS. Evans, the owner of Haskell's Prescription Shop in Lawton, Oklahoma, allegedly sold pseudoephedrine to undercover agents with valid licenses who had not exceeded the limit of purchase. The PSE sales were considered "reckless" on one count because the agents arrived in the same vehicle to do a purchase. Oklahoma Attorney General Drew Edmonson is aiming to convict Evans on all accounts and ask a judge to dump him in prison for up to 43 years. Supporters of Haskell Evans are urging pharmacists to join a Facebook page called Pharmacists and Citizens in support of Haskell Evans. Meanwhile, in the midst of the year-end holiday season, attorney Diane Bass reflected on the year ahead as she prepared to battle the federal government. She intends to ask the court to lessen her client's penalty due to the improper dispensing of the PSE drugs by CVS to the defendant. "The federal sentencing guidelines in my client's case calls for a sentence around 188 months due to the fact she and her co-defendants purchased several thousand milligrams of pseudoephedrine from CVS," she said. "I have requested that the US attorney recommend a variance or departure based on the fact except for CVS' illegal sales to customers of more than 3.6 grams per day or 9 grams per month, my client never would have been able to purchase the amount she purchased. I believe she should only be sentenced as if she had purchased 9 grams per month which would result in a 60 month variance. Hopefully, since my client suffers from serious medical conditions and has had a tragic life, the court will grant a further down departure in sentencing." A poor, sick, drug addicted woman's lawyer fights to get her sentence reduced to only 10 years for buying too much of a legal, over-the-counter medicinal product, while CVS gets off the hook by paying millions and has the opportunity to make millions more by staying in business. Disparate justice isn't just about race in America, it's also about class. Kentucky Democratic US Senate hopeful Jack Conway and his allies continue to attack Republican hopeful Rand Paul for his dissent from drug war orthodoxy. The latest salvo came in an attack ad by Common Sense Ten, an independent "super-PAC" that supports Democratic candidates by attacking Republican ones. "Here's Rand Paul," the narrator of the Common Sense Ten ad intones, then goes to a voiceover of Paul saying, "Things that are nonviolent shouldn't be against the law," while the words "Libertarian Philosophy" appear on the screen. "Like other libertarians, he says drug laws are too harsh, and Rand Paul says drugs are not a quote pressing issue here in Kentucky," the narrator continues. "Not pressing? Drugs, especially meth are an epidemic in Kentucky. Lives, families, and whole communities are destroyed every day." The ad then repeats the Paul quote on nonviolent offenses while the words "Ron Paul -- Wrong for Kentucky" appear on the screen. While the ad waxes hyperbolic ("whole communities are destroyed every day") and metaphoric (meth is "an epidemic in Kentucky"), the numbers don't back up those claims. According to a recent report from the federal Substance Abuse and Mental Health Services Administration, drug use levels in Kentucky are in line with those in the rest of the country. The "epidemic," in other words, is a politically convenient figment of the collective imagination. Democrat Jack Conway did not pay for the ad and his name does not appear on it. But it appears Conway and Common Sense Ten are all too happy to engage in regressive drug war politics if it will help them win the election. So far, though, it's not working: According to poll aggregator Real Clear Politics, Paul is leading Conway by an average of 46.0% to 41.7%. In 2005, Montana had one of the highest rates of methamphetamine use in the country, and businessman Thomas Siebel responded with the Montana Meth Project, an anti-meth campaign relying on graphic advertisements feature users' bodies decaying, teen girls prostituting themselves for meth, teens committing violent crimes to support their habits, and groups of young meth users allowing their friends to die. 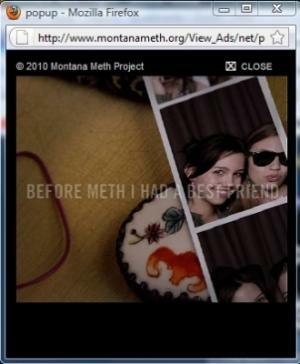 The project has been widely touted as reducing meth use rates in Montana, and the Montana Meth Project makes similar claims on its results page. Based on claimed results in Montana, similar programs have gotten underway in Arizona, Idaho, Illinois, Wyoming, Colorado, Hawaii and, this past March, Georgia. But a new study from the University of Washington published in this month's issue of the Journal of Health Economics casts doubt on the project's claim to have influenced meth use rates. The rate of meth use in Montana was already declining by the time the Montana Meth Project got underway, the study found. "Methamphetamine use was trending downward already, and the research shows that the project has had no discernable impact on meth use," said study author D. Mark Anderson, a UW doctoral student in economics. Anderson said the project had not been empirically and rigorously scrutinized until his study. Using data from Youth Risk Behavior Surveys conducted by the Centers for Disease Control and Prevention, Anderson compared meth use rates to rates nationwide and in nearby states. Using demographically similar Wyoming and North Dakota, which undertook no anti-meth project programs, as control cases, Anderson showed that in all three states, meth use declined gradually between 1999 and 2009. Anderson also scrutinized drug treatment admission reports from the Substance Abuse and Mental Health Services Administration (SAMHSA) and found that the Montana Meth Project had no measurable effect on meth use among young Montanans. His findings suggested that other factors, such as law enforcement crackdowns prior to 2005 or increasing knowledge of the ill-effects of meth use, were more likely to have led to declining levels of meth use. "Perhaps word got around on the street, long before the campaign was adopted, that meth is devastating," Anderson said. "Future research, perhaps of meth projects in the other states, should determine whether factors that preceded the campaigns contributed to decreases in usage."